Where the confirmation letter and technical documentation have to be submitted? The confirmation letter has to be submitted in paper or electronically signed by electronic signature to the JS by the LP within period of time from the opening till the closing time of the call (post signature or e-signature time stamp). Electronically signed confirmation letter has to be sent to e-mail: latlit@varam.gov.lv or uploaded in the eMS as attachment as electronically signed file. If technical documentation cannot be uploaded in the eMS due to big size, then it has to be sent by post to the JS within period of time from the opening till the closing time of the call (post signature). What organisations can be Project partners? The following organisations are eligible as a Lead partner or a Project partner. Detailed partnership requirements are described in chapter 5.2.2 of the Programme manual. What organisations can be a Lead partner? The same requirements are set for a Project partner and a Lead partner. If an organization is from outside the Programme area, can it participate as a Project partner/Lead partner? Organisations that are registered outside the Programme area and do not have permanent offices/do not operate in the Programme area can participate as Project partner/Lead partner if it is crucial for the project success and additional competence or knowledge brought does not exist in the Programme area. Can the Joint Secretariat (JS) help project applicants to find partners? Project applicants can use a special tool on Progamme’s website http://latlit.eu/parner-search. Can we submit in this call for proposals or in the upcoming ones several projects together with some other organisation from the other country of the Programme? Can we submit two different proposals for one call? Yes, the number of proposals, that one organisation can submit or is involved in, is not limited. Can one project be co-financed under two different Programme priority specific objectives? The project must clearly suit under one Programme priority specific objective and the results of the project must contribute to fulfilling the indicators of that Programme priority specific objective. Are there any limitations for the project duration? What is the earliest possible date to start the project? Applicants are invited to establish as starting date for their projects: January-February 2017. The earliest date when the project activities can start and the expenditure can incur is the next day after the project is approved by the Monitoring Committee. Which sites can be regarded as cultural and natural heritage objects? Typically objects of cultural and natural heritage can be found in the registers of protected natural territories and cultural heritage sites of respective member state, but these registers should not be treated as exhaustive list in the context of the Programme. Other sites with a proper justification and reasoning can be considered as natural and cultural heritage objects in the context of the Programme, and therefore can be eligible providing justifying how the project will contribute to the Programme output and result indicators of the respective specific objective (e.g. Output indicator - Sustainable Tourism: Increase in expected number of visits to supported sites of cultural and natural heritage and attractions; Result indicator - Overnight stays of visitors in the Programme area). What is innovative approach and why it has to be described in the project application? Innovative approach means that project can demonstrate brand new knowledge and solutions (added value) which differ from already available cross border solutions for chosen problem or territory as well as it means to demonstrate ability to look at reality from a new point of view in order to avoid duplication of existing work and use of already known and available methods which most probably will result in already existing solutions. Innovative approach is one of the assessment criteria against which project application is being assessed during project selection phase and therefore affects total scoring. Payments to the projects are made on a reimbursement basis and no advance payments are available, unless national co-financing from state budgets is available for partners. What is the ERDF co-financing rate for the partners? 85% of total eligible project costs. There are no limits for budget distribution between the budget lines (the main principle is that the costs have to be justified in regards to the planned activities). If all project partners are NGOs, does this mean that the total amount of funding for our project can not exceed 200 000 EUR from European Regional Development Fund (ERDF)? Yes, in case the Lead partner is NGO, the project budget must not exceed 200 000 EUR from ERDF. How long will it take for the Project partners to reimburse money they have spent in the project? From 3,5 months up to 7 months after the end of the reporting period. It depends on how fast the reports will be prepared and finalised by Project partners as well as how long the Lead partner will prepare consolidated progress report and how many clarifications will be needed. Therefore it is very important to start preparation of reports in due time, before end of a particular reporting period. What documents have to be submitted regarding construction works planned in the project? Programme Manual section 6.1. paragraph 6 and 7 (page 38) describes information about requirements for technical documentation for (re)construction. d. cost estimations of the planned (re)construction works in line with national legislation and in national language. What can be done if the eMS password has been forgotten? If an applicant forgot the password, it can be reset by pressing button „Forgot password” at the eMS login page. After that, in separate input field the username has to be entered and an automatic message for resetting the password will be sent to the applicant’s e-mail. If a username is forgotten, please contact the JS for help. The application must be submitted by the Lead partner of the project on behalf of the project partnership. How the Lead partner can give access to the application to project partners? The Lead partner can give to project partners rights for reading or modification of the application. This can be done by clicking „User Management” on the menu on the left hand side (when the application is open). There the Lead partner will type the username of the project partner whom the user rights are given to. This project partner must be registered in the eMS and have a username before he/she can be added. Then the LP will choose “Add for Reading” (application form can be read and printed out) or “Add for Modification” (application form is open for filling in or modification). Are all fields in the application form obligatory for filling in? In the application form all fields marked with * are obligatory for filling in. How to use a flat rate? According to the Programme requirements flat rates can be used for BL1 „Staff costs” (optional) and BL2 „Office and Administration”(mandatory). When filling in costs for the Lead partner of project partner in section “Partner budget” the applicant has to tick box “Flat rate”. After that the system shows two boxes: 1) flat rate staff (15%) and flat rate office (15%). Flat rate office must be ticked by the Lead partner and each project partner and the rate 15% cannot be changed as this flat rate is mandatory. Flat rate staff is optional and every partner can decide to use it or not. If flat rate staff is chosen, the rate 15% cannot be changed. If during preparation of the application Lead partner or project partner decides not to use the flat rate for staff costs, tick must be removed from box “Flat rate staff” and button “Recalculate budget” to be pressed. How to prepare pdf file and print out the application form? The applicant has to press „Save as pdf file” on the left hand side menu (when the application form is open). In 3-4 minutes after clicking this button an application form in pdf format will appear in section „Generated files”. When the application form is filled in and annexes are attached, the whole application form must be checked thoroughly before submission. To submit the application, the applicant has to press button „Prepare to Submit” on the left hand side menu, then the system will show a message „Prepared to Submit”. After that, the applicant has to press button „Submit Checked Project”. After submission the system will send a message that application was submitted to the applicant’s mailbox in the eMS. If during preparation of the application form section „Partner Budget” is not available for filling in, what can be done? In order to be able to fill in a partner budget, the information on the partner (Lead partner or project partner) has to be provided in section “Partner”. Besides of that, the applicant must set reporting periods for the project in section “Work Plan” subsection “Define Periods”. Where can technical specifications be provided for planned equipment in the application form? Technical specifications for equipment planned within WP “Implementation” must be provided as description of deliverable or in section „Partner Budget” when entering costs for equipment in input field „Comments”. What can be done if project main output does not directly fit to the Programme output indicator? In some cases project main output does not directly fit to the Programme output indicator, e.g. in cases when reconstruction works are planned in WP “Investment” but there is no Programme output indicator for development of infrastructure under particular Programme priority specific objective. In such case, the applicant must choose Programme output indicator which was selected for WP “Implementation”, provide title of the project main output, describe how it will be achieved and how this project main output will contribute to achievement of Programme output indicator but the quantity of the project main output must be 0. However, the applicant must remember the requirement that the project must contribute to Programme priority, its specific objective and at least one result indicator and one output indicator of the chosen specific objective. Once the call has been closed, the applications are first assessed by the Joint Secretariat based on the assessment criteria listed in the Programme Manual. After assessment the final decision on selected projects for funding will be taken by the Monitoring Committee consisting of representatives from each Member State. When and how will I get to know if my application has been approved? The Monitoring Committee dates will be published on the Programme website and the information about the taken decisions will be communicated to the projects officially by letters sent to the Lead partner within 10 days of the Monitoring Committee meeting. It is the responsibility of the Lead partner to inform the other project partners about the results. Our organisation wrote a post on www.latlit.eu Partner Search section, but we can not see it published? Your post will not be published immediately. After a new organisation has put its post, the website administrator receives a message that a new post has been created. The administrator reviews it and publishes it. This process may take some time. Specific objective 1.3: What is a brownfield? That is a territory effected by human intervention, previously used for industrial or commercial purposes with known or suspected pollution, where past actions have caused environmental contamination, but which still have potential for redevelopment or other economic opportunities. Brownfields may have real or perceived contamination problems negatively affecting neighbouring area. Specific objective 3.1: can project partner plan improvements of infrastructure and purchase equipment if project partner is not registered as a social service provider? If improvement of infrastructure and equipment is necessary for improved and more accessible social services then only registered social service providers can plan these costs. If project partner plans to improve infrastructure or purchase equipment for creation or improvement of social inclusion measures then project partner does not have to be registered as social service provider. Specific objective 3.1: where to check if project partner is registered social service provider? 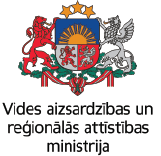 For Latvian project partner: The list in Latvia is available on the homepage of the Ministry of Welfare. For Lithuanian project partner: each municipality has plan of social services or list of social service providers. Specific objective 3.2: what is defined as community? If 3 project partners are planning to form 3 groups of people (10 people each), does it mean that the number of deprived communities is 30? Or 3 - as the number of partners - administrative units taking part in the project? Community is a group of people with a common characteristic or interest living together within larger society. So, as it is a group of persons, each person definitely will not be a separate deprived community. In general, this would be one deprived community. In case, you consider that there are 3 deprived communities, then you should justify it, for example, in case if each of the group has its own characteristics. Can one “pack of partners” submit more than one project under one priority in completely different fields, where each of the projects reach maximum amount of ERDF per project – 500 000 EUR? Programme does not have a restriction regarding how many project applications one institution can submit, so theoretically it is allowed. But concrete organization is usually providing concrete service, would form project partnership and normally one institution is not providing services in “completely different fields”. If this is not the case, then Programme has a requirement – if main stakeholders directly using/contributing from project results are not involved in the project, information how exactly these institutions would be involved in the project and how the results of the project would be used by these institutions, should be clearly stated in the project application. Also please take into account that this partnership will be competing also with itself for the limited Programme funding, therefore please assess carefully this option. The building will be divided into three parts, dedicated for different activities – is it one site (object) or three sites? It is one site (object), it does not matter how many activities will be carried out. Building consisting of several blocks is considered as one site (object). If infrastructure works will be done in the state land, what ownership / lease documents we need to submit with application? With application should be submitted document that states the ownership rights of the state land and permission of state institution to carry out construction works in that land. What costs should be included in the budget section ACTIVITIES OUTSIDE? Costs of activities outside programme area must be calculated by the applicant, and the amount, as well as explanation on costs must be provided in this section. PM section 9.1. General rules applicable to the project budget. Geographical eligibility clearly elaborates what activities are considered as activities outside programme area and what are not. In case the project partner is registered outside the Programme area entire budget of this project partner is considered as activity outside area and shall be indicated in section ACTIVITIES OUTSIDE. Can the application be submitted by the eMS user, who is not employee of the Lead Partner organisation? The application can be submitted by the eMS user, who is not employee of Lead partner. However, the Confirmation letter has to be signed by the authorised representative of the Lead partner specified in the application form. If Confirmation letter is signed by another employee of institution, a document certifying that this person has right to sign documents instead of authorised representative has to be enclosed.